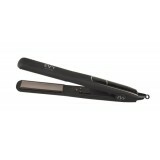 EVY Professional is a hair tool range featuring unique patented Japanese mineral technology. Each of the EVY products feature 32 natural negative ion-generating minerals. This unique blend of post-volcanic minerals injects hydration and moisture into the hair as you style. The end result is hair heaven – silky, smooth, healthy hair every time. EVY iQ OneGlide Iron Gift Set She’s sleek. She’s stylish. She’s all class. And she is about t.. 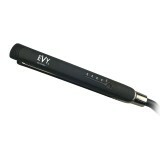 The EVY Professional Styler with Mineral Infused Technology allows you to lock-in hydration for t.. 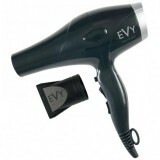 The lightweight EVY InfusaLite with Mineral Infused Technology allows you to dry hair faster and ..